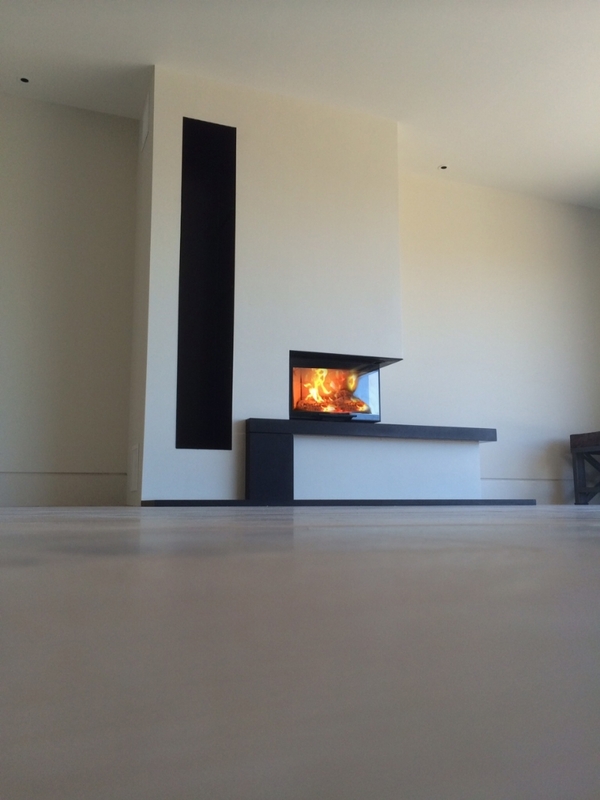 Contura I41 installation wood burning stove installation from Kernow Fires. Customer Aspiration: A bespoke fireplace with in built log store. 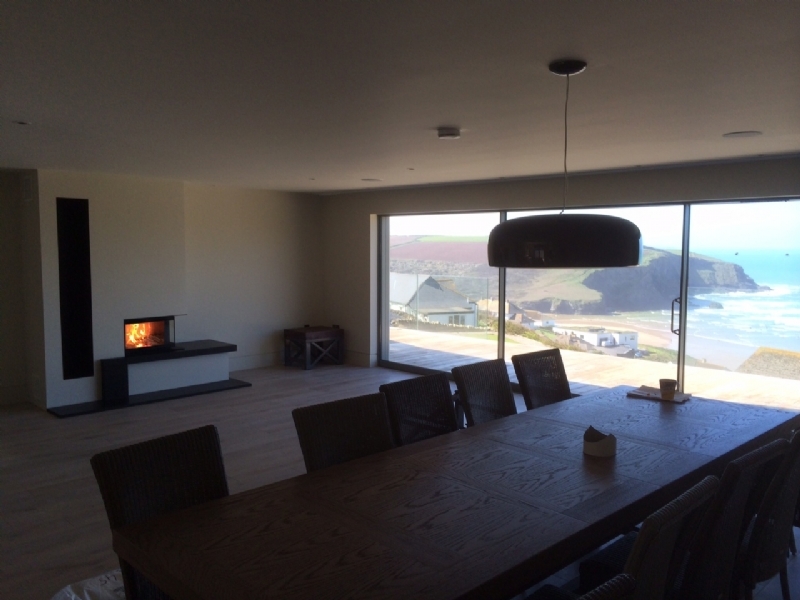 The Contura I41 works wonderfully in this large open plan room in Cornwall. 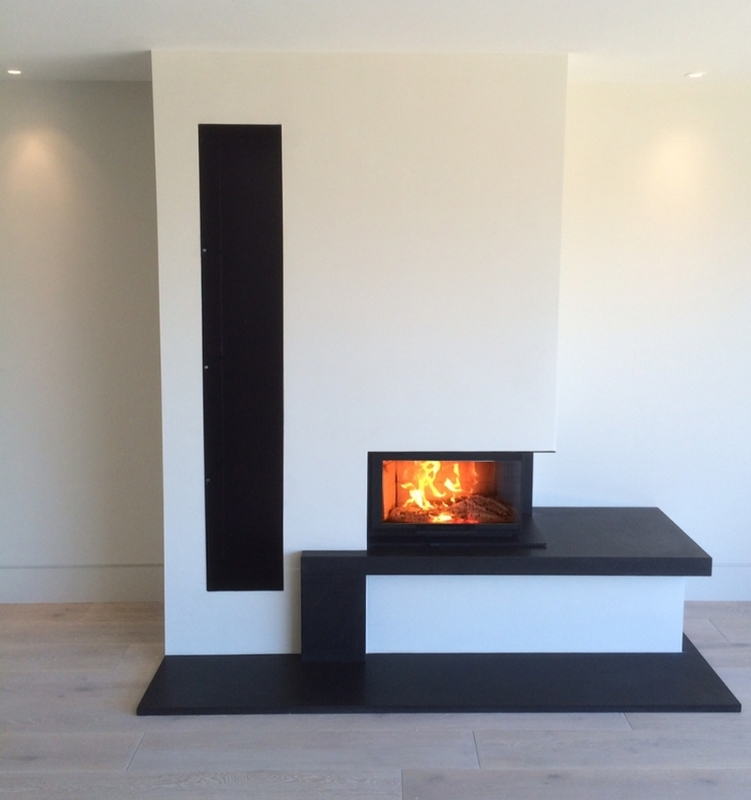 The bespoke fireplace is built using our metal frame system and fireproof board and appears like its always been there. The benefit of using this framework is that it is quicker to put together than building in block and we are able to be very creative including log stores, benches and TV recesses. 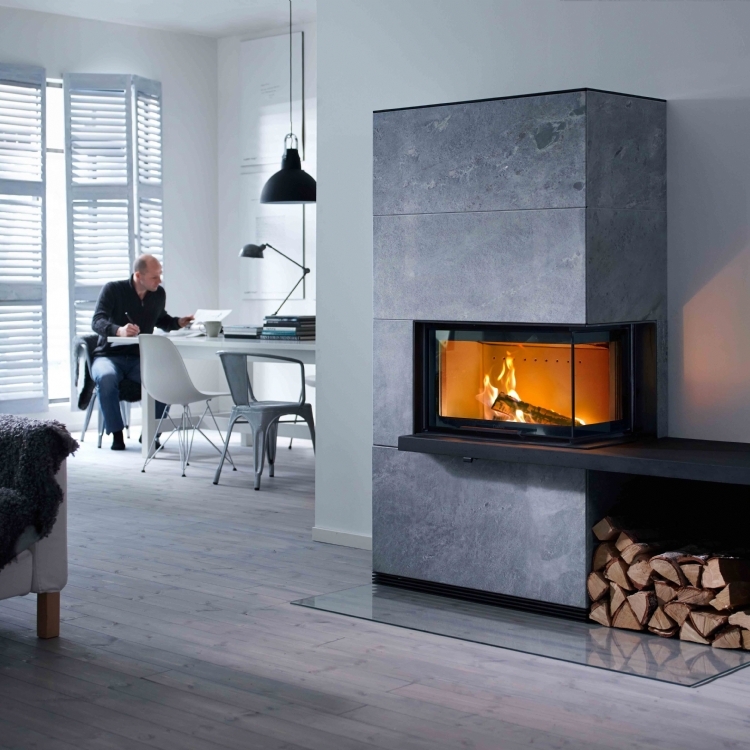 The dual aspect of the Contura I41 means the fire can be seen from anywhere in the large room including the balcony. 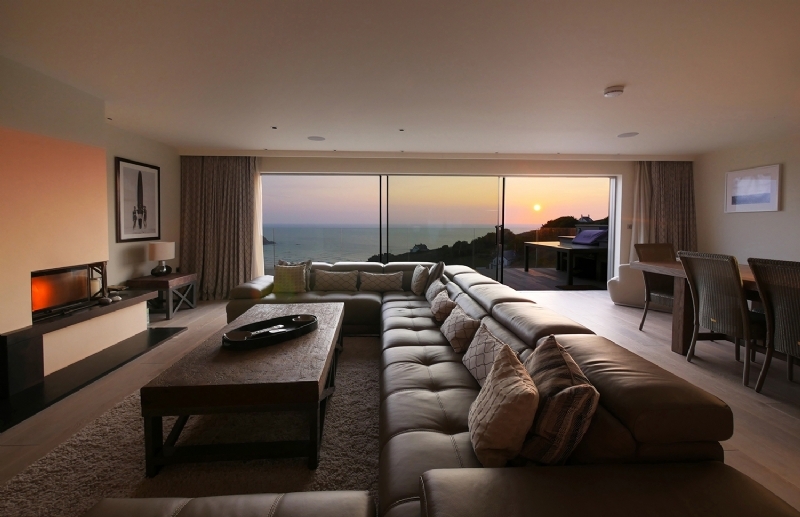 This beautiful holiday home is available from Perfect Stays.